A couple weeks ago I went for a walk along the Hudson River by myself, at dusk and watched the sunset. It was so relaxing, photographing everything and just sitting and thinking. While I was staring out at the water trying not to think about leaving, I thought of a few reasons why I love New York City and cities in general. I wrote down some thoughts in my phone and they are below. Not really structured, yet not really poetic, it just reflects the beauty to be found within Manhattan when some people think of beauty only in nature. Stars in the sky? I might see them less but we still got the moon. And city lights just might be better. Lakes? 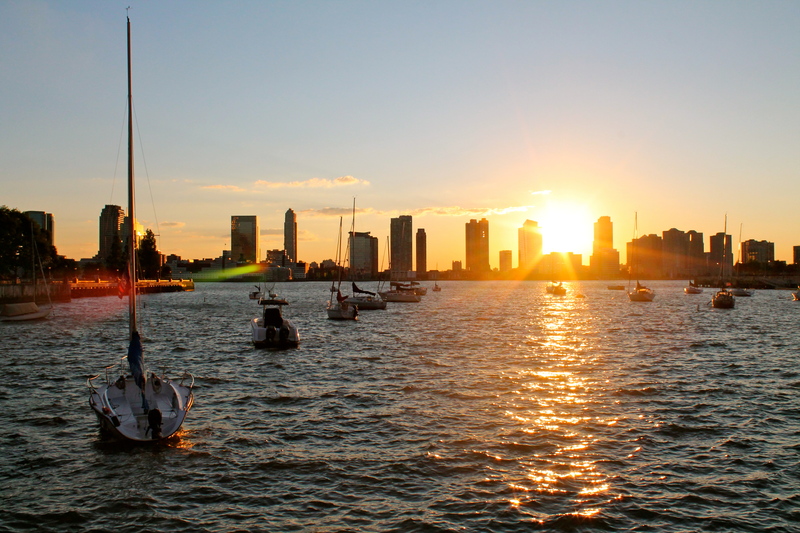 How about looking across the Hudson River or the East River? The water reflects the sun just the same and glistens in the waves. Trees? Plenty to enjoy in Central Park, on the boardwalks along the West Side Highway, or on a rooftop where you can sip your favorite beverage. Trails to walk, wander and get lost? There’s the streets of Manhattan for that. Welcome to the Concrete Jungle.